Note: Today’s heart touching post is sent by a loyal reader, Sampriti Mukherjee, who has followed her heart over mind. The road seemed endless on a scorching June afternoon as I walked down home from my tuition classes. At this time the wizened old face of the familiar looking rickshaw-puller of my locality asking, “Ghar pahuncha dun Didi?” seemed God-sent. The loud honking of the bus broke my reverie. I was not among the familiar looking area of my hometown but I was in Mumbai. The low-lying air-conditioned bus promised comfort but somehow I wished I was back home. Back home where there were no multistorey buildings, opulent offices and plush malls, but there were kind souls who offered a 17 year old girl a ride home. I don’t know how many of you have been through such a situation. But I’m sure there are many of us who have ventured out of our small towns with stars in our eyes hoping to make it big in the metropolitan cities of India. The glamour and magnetism of these cities still today are luring many youngsters from there not so developed areas to make it big. I being caught in the same whirl wind had left my modest little town to find success outside. Success I did get. A career I had envisaged and dreamed for and other materialistic possessions, but all these came at a price tag. The price was robbing oneself of the simple pleasures of life. The initial charm of wide roads, shining facades and a glittering night life wears off after some time. Suddenly you realize that you have come far from home. The distance is not just physical but emotional and sentimental as well. There are times when even being surrounded by a group of friends you will sorely miss the comfort and support of being in your mother’s embrace. I do not consider myself able enough to judge and give decisions regarding the fact that whether it is wise to leave home for greener pastures abroad or not but through this article I’m simply pouring my heart out through instances where nostalgia takes over our rationale and makes us pine for what we left behind. We human beings are genetically engineered to adapt and such is the case now a days that this adaptability is limited to programming our mind to the new challenges that life puts forward every day. So adjust and adapt we do to whichever place our work takes us. But somewhere in the recesses of our mind there is a window of our childhood days when the mornings seemed dewy and the evenings fresh. When the motion pictures of our mind takes us to that frame in flashback where our laughter was uninhabited and emotions pure and unadulterated. Summer vacations, waiting for the ice-cream man, cousins coming to spend vacations with you, pillow fights with siblings over petty trinkets and many such small moments bring tears to our eyes. Those same eyes which had harbored big dreams while saying adieu to the shelter of home. The dreams are still there but just that the eyes have become a little world weary now. Now the luxury of rushing to your father thinking that Papa will set all things right is not there anymore. It is the road we have chosen ourselves and it is us who have to tread it come what may. I wonder is it me or do others also feel the pangs of home like me? Do I time travel back a lot into retrospective or am I being stubborn that I’m refusing to grow up? I wish I could answer these questions myself but sadly I cannot. I do not wish to justify the fact that that by letting myself dwell in the past is appropriate or not? I simply savor the smile these bittersweet memories bring to my lips without any cost. I simply let my mind wander back to the time where story books, an hour of watching your favorite cartoon show, paani puri from the road side vendor and picnics with friends on lazy winter mornings were the crux of our lives. When paychecks, compensation packages and new electronic gadgets were far off things. The quest for making it big in life has brought us far and we still have miles to go. The place of these memories will soon be taken up by newer ones but even today I cannot refrain myself from wishing that if I could go back to those narrow lanes, to those small local markets, to those kind teachers and to those old friends. 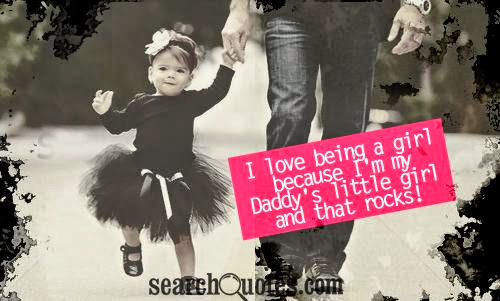 Above all I wish I could be my daddy’s little girl again. P.S. – This article is dedicated to my little brother who triggered the instinct in me to take up the pen again (keyboard to be more precise) after many years and let my emotions flow. Thank you my Baby Brother. Thank U my Didibhai! I never knew that my little short story can trigger such an emotional instinct in u. This post was speechless! Living in 2 different corners of our country still our throbs for our little but great hometown! Keep writing Didu! Thank you everyone for empathizing with my feelings. Such motivation will certainly drive me to write more. 🙂 Thank you Surabhi for publishing my article and thank you once again Bhai for being my inspiration. I got married recently and have shifted to the work place of my husband.. Tripoli, Libya..
it hasnt yet been a week and i have started missing evry1 back home..
Ur article got my eyes wet.. I too compose short poems and shayaris.. so U r inspiring enough for me to start working on them all over again…. thnk Sampriti for a grt article..and Surabhi for publishing the same..